Some businesses can only exist in Orlando. 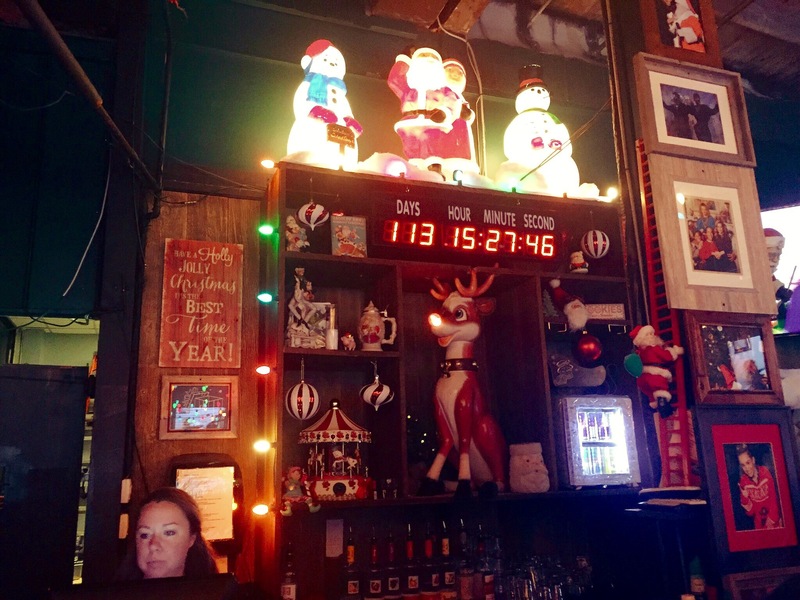 Really, it’s hard to imagine many other cities that could be home to a year-round Christmas themed lounge. 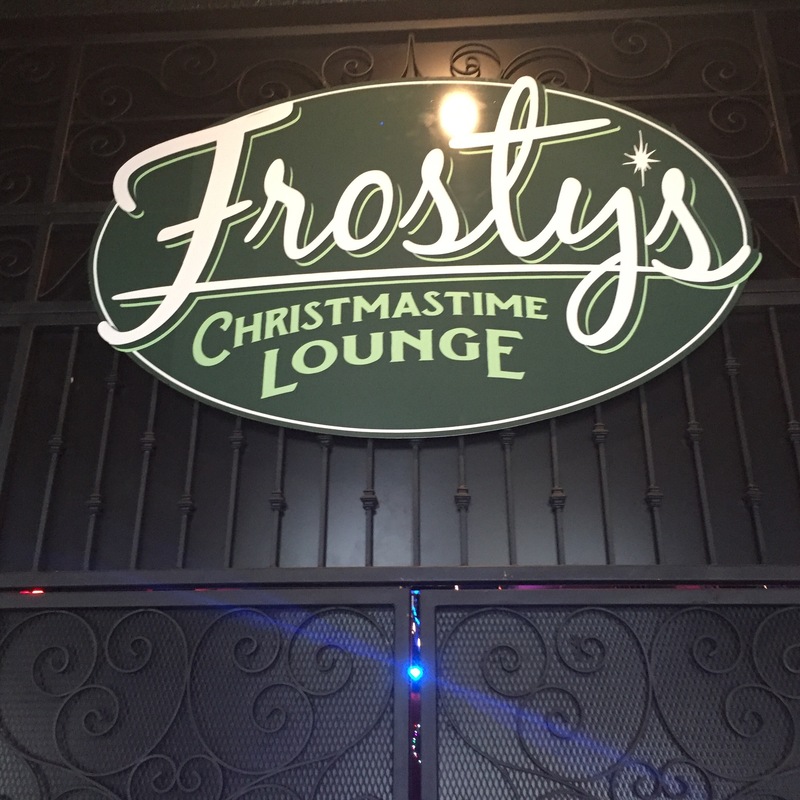 Frosty’s Christmastime Lounge opened just two weeks ago and it is instantly one of the most talked about establishments in Orlando. Christmas covers every corner. It is quirky and silly. There’s nothing serious about this place, it’s just fun. I should’ve brought my real camera with me to capture all the props, decor, figures, ornaments, and wall hangings. 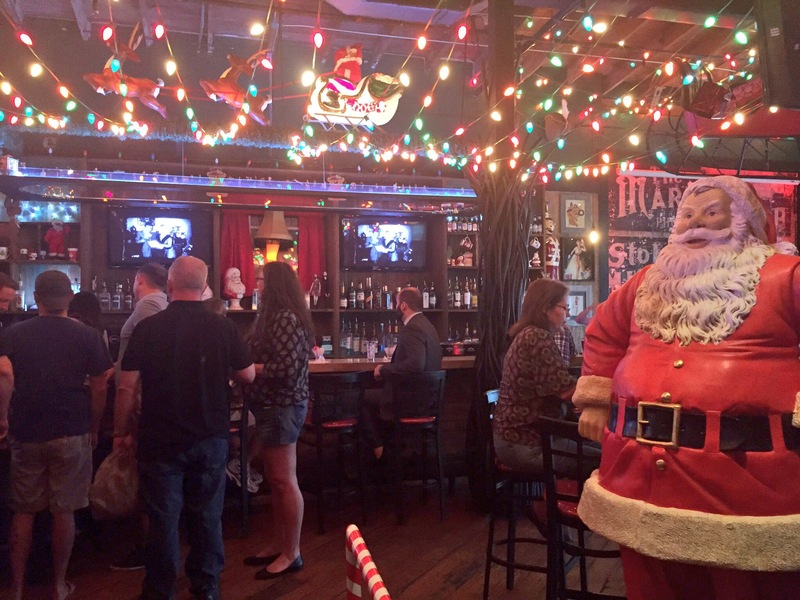 Frosty’s Christmastime Lounge makes a great spot to meet up with new friends, coworkers, really anyone. There’s so much to look at, it makes a great ice breaker. Speaking of ice, you can sip on snow cones and be on the lookout for occasional snow flurries. A nonstop rotation of Christmas movies plays silently on multiple monitors. Unexpectedly the DJ rarely plays Christmas music. I totally get that nonstop Christmas music would be too much. But I feel every 4-6 songs there should be a Christmas song. On the night of my visit, which was 5:30-7:00 PM, the music started as 80s then transitioned to 90s hip hop, each with a Christmas song or two thrown in about every 8-9 songs. 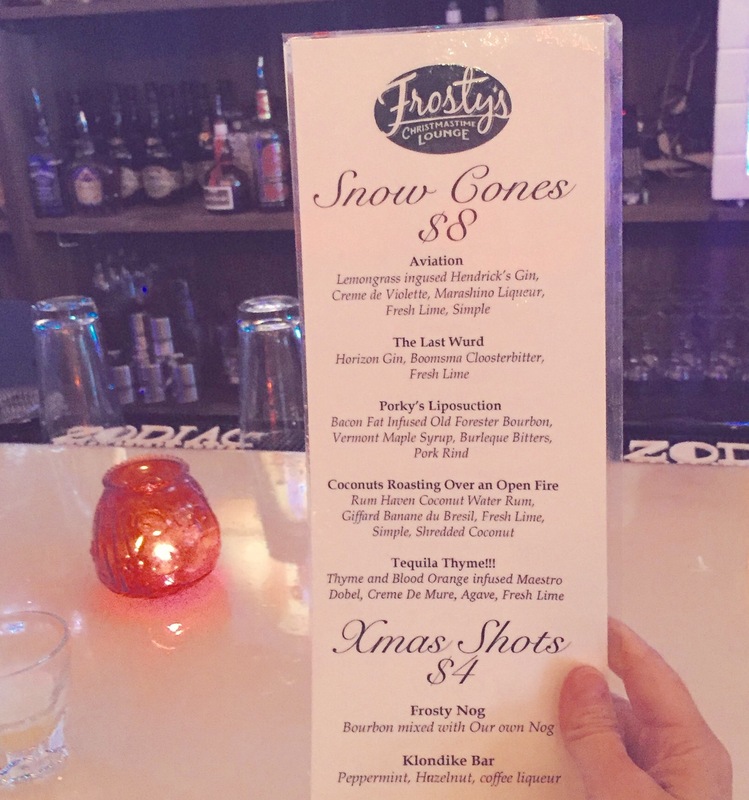 Surprisingly, Frosty’s has a short list of specialty drinks and shots. 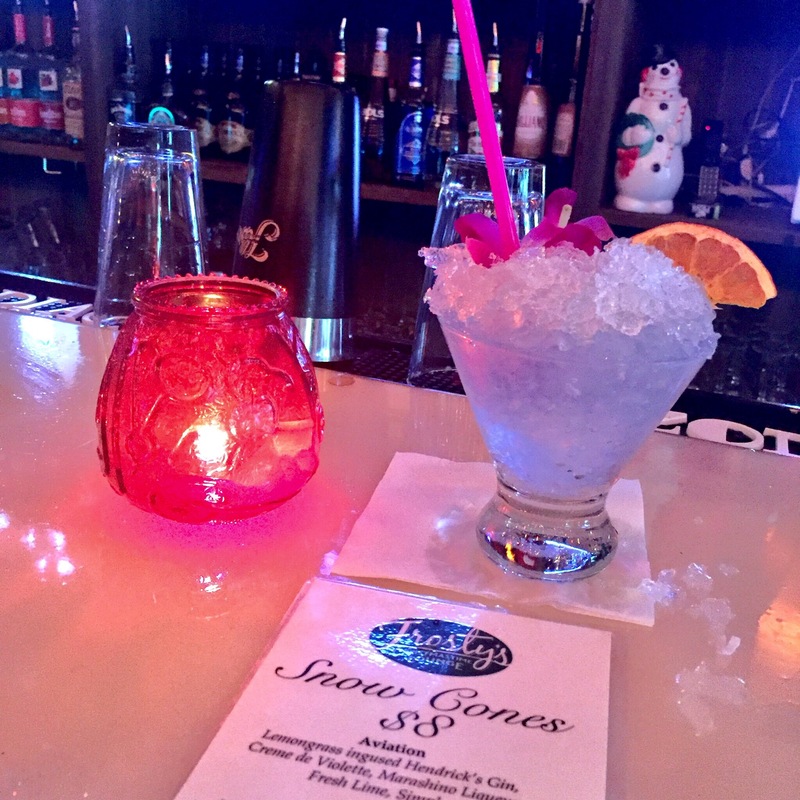 There are five snow cone style drinks and two shots. The rest of the menu is bottled beer and three winter beers that are on tap all year. All snow cones are $8. I ordered the Aviation and was surprised at the flavors. I expected something a little more flavorful than what I received. It is very light, a little fruity, and a little tart, but overall it tasted like it needed something more. I visited with two friends and one of them ordered the Porky’s Liposuction – what a name right?! Thanks to the bourbon this one had a lot more flavor. I’d either go with Porky’s or try the Last Wurd on my next visit. My other friend was intrigued by the shots. Two are listed on the menu, $4 each. I took a sip both of them and would easily order either one again, loved them! Frosty’s Nog is simply their own special nog (much lighter than traditional egg nog) and bourbon. The Klondike Bar is peppermint, hazelnut, and coffee liqueurs. My main suggestion is that they make both of these into cocktails. Shots are over and done with so quickly. I’d rather be able to sip on something over conversations with friends or coworkers. I do enjoy that they have three Winter seasonal beers available year round. The Southern Tier 2Xmas is a must! There is no food served here so plan accordingly. (This is often the case with Downtown Orlando bars). 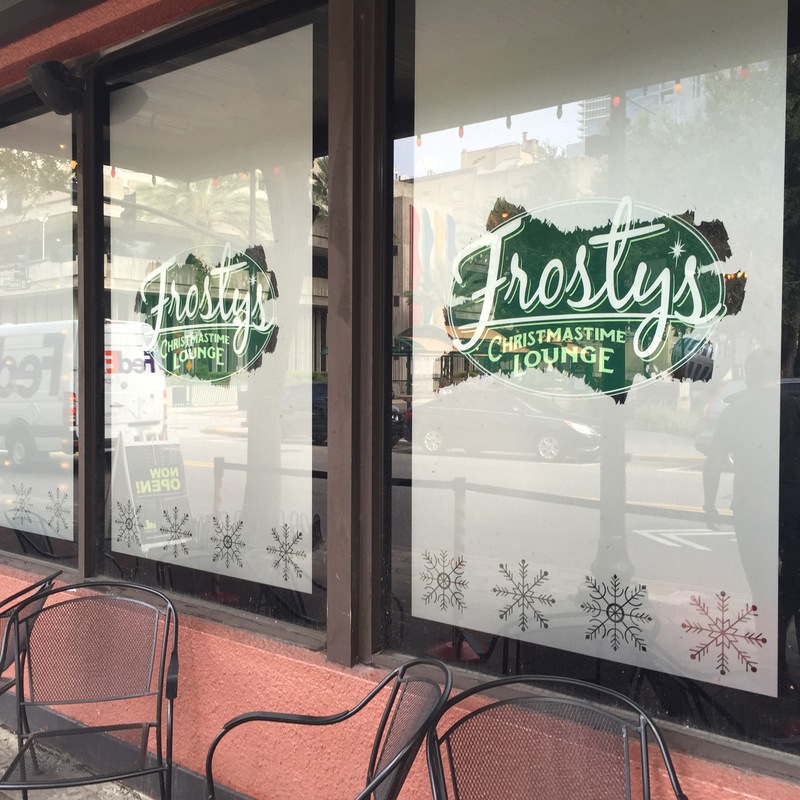 If you’ve never been to Downtown Orlando, or if it’s been a while, Frosty’s would be a good reason to go… As part of a larger plan to explore. It is on Central Ave, which has two convenient parking garages with standard pricing. 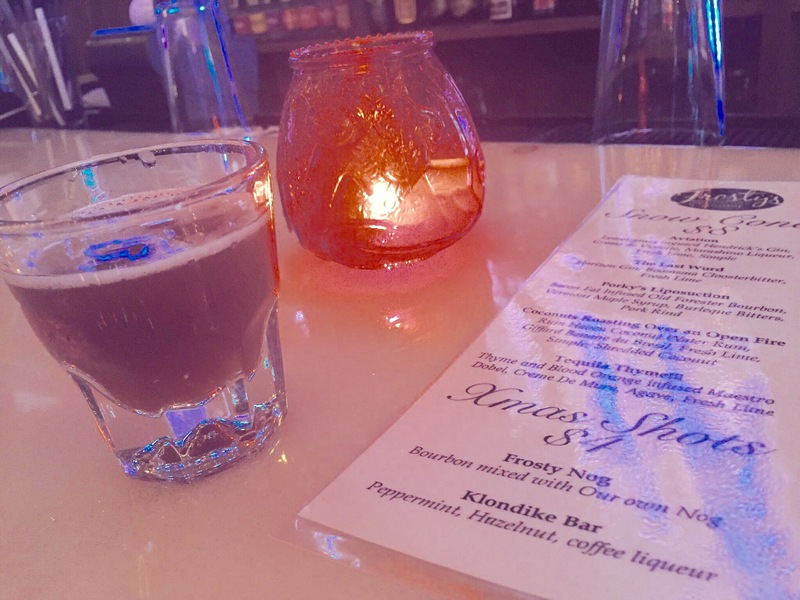 There are plenty of bars and restaurants to hop in and out of along Central, as well as Orange Ave which intersects Central. Frosty’s is in a convenient location, and during my visit had plenty of patrons. I’d definitely return. I love Christmas and although I had very high expectations which weren’t all 100% met, I had a great time! 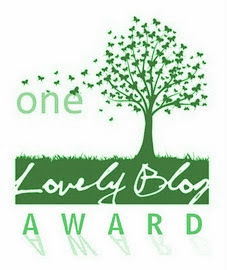 I am grateful that such an off-the-wall concept is right at home, in my hometown. 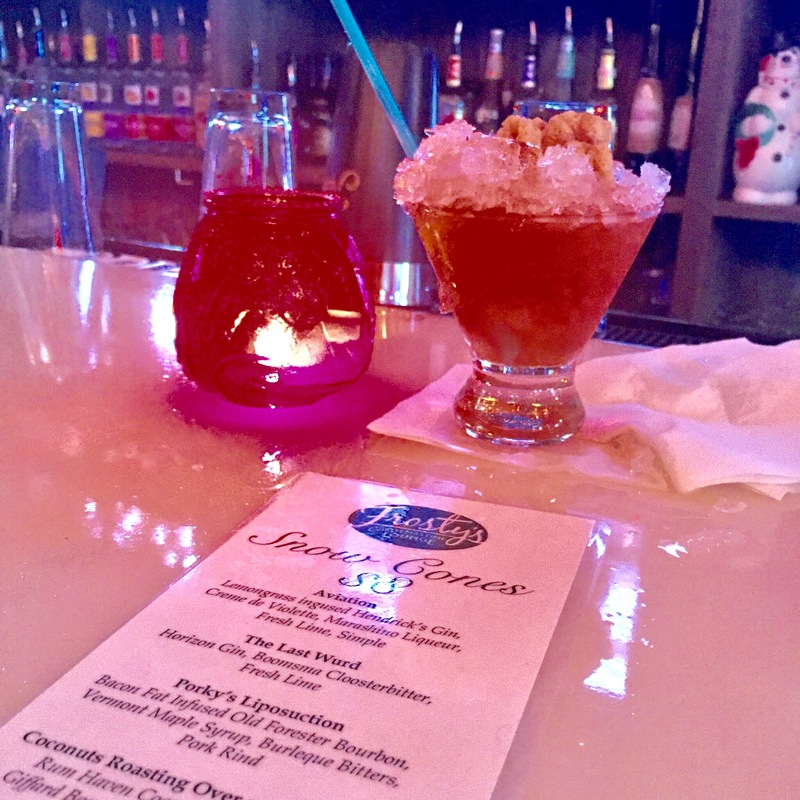 You had us at Adult snow cones. We are going to be in that area in October, we are definitely going to check it out. Ok, we definitely need to try this out! Thanks for the drink tips!